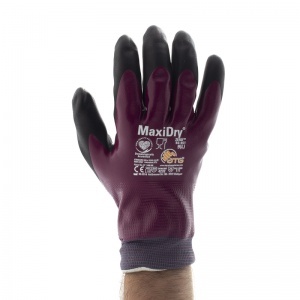 The MaxiDry Fully Coated Gloves are oil repellent gloves. The MaxiDry Fully Coated Gloves are ideal for precision handling gloves in dry environments. 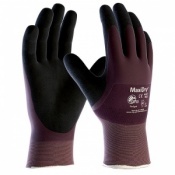 The MaxiDry Fully Coated Gloves are super thin, flexible, dexterous and comfortable. The product code for these gloves is 56-427. They are also available in a pack of 12. Brilliant gloves. 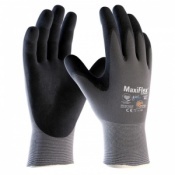 Fits perfectly, keeps hand dry and warm and does not affect dexterity like some other thicker gloves. 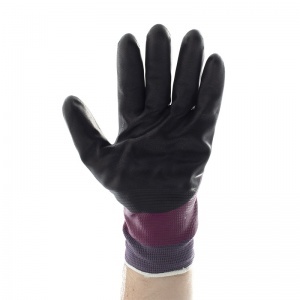 Elasticated cuff ensures nothing gets inside gloves. Easy to clean. Provides good protection against sharp objects.